Cars are an expensive but necessary investment and like all things, if you take proper care of it, it will last longer. Between driving around dogs, messy toddlers, and teenagers with their muddy sorts gear, your car definitely takes a beating and require regular cleaning. 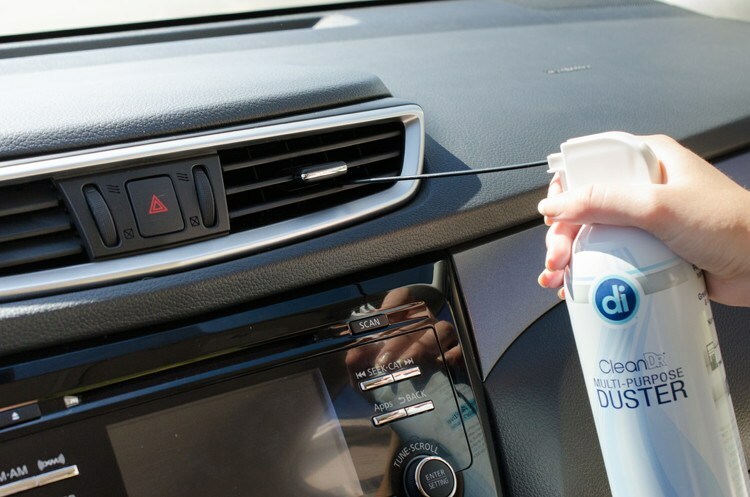 But – cleaning your car doesn’t have to be hard, time-consuming or cost a lot of money! 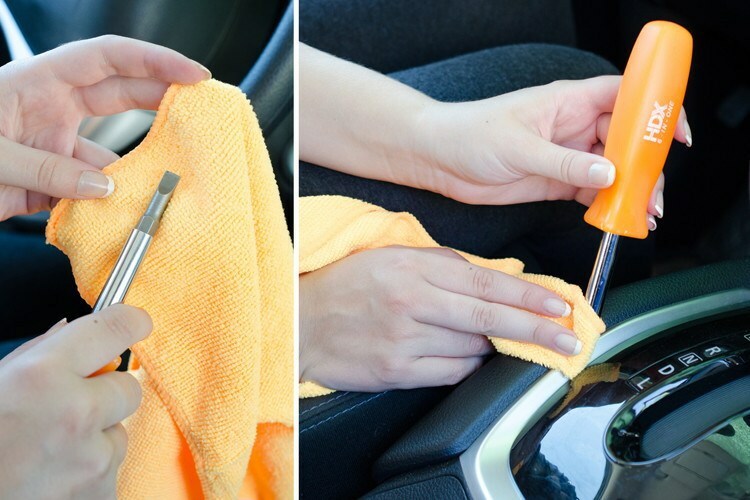 So whether you’re maintaining a clean car, or deep-cleaning a dirty car, these 9 Brilliant Car Cleaning Hacks will help you get your car as clean as new again. Dirty and murky headlights ruining the looks of your car? Well, apart from ruining the looks, they’re also not particularly safe because they reduce visibility at night. And cleaning them at home is very very easy. Now, you might already know the cleaning power of baking soda. Combine it with toothpaste and slowly scrub it using a microfiber cloth. The combo is highly useful to clean & brighten your headlights! The rough texture of baking soda will aid in faster cleaning of all the grime. 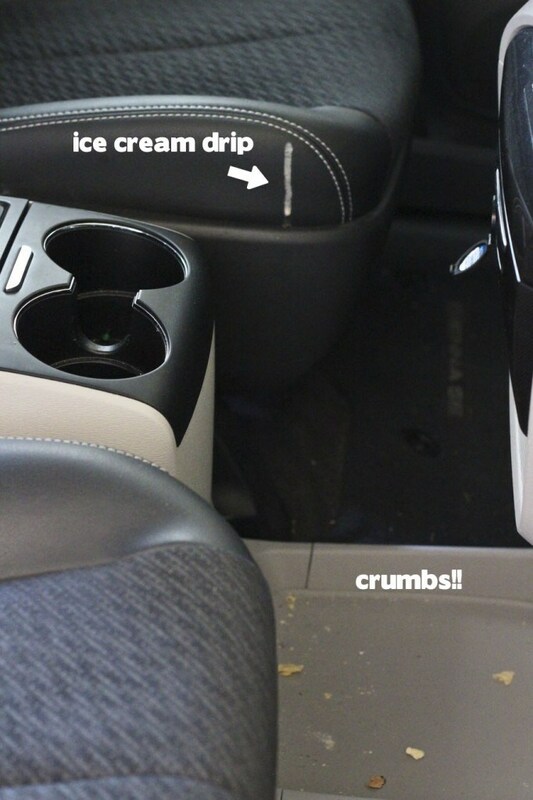 Is your car all messed up with food and drinks your kiddos ate in the car? Don’t worry, it’s actually pretty easy to clean the car. All you need is a magic eraser. Now, you might already be knowing that there are plenty of magic eraser cleaning hacks for cleaning around the home. 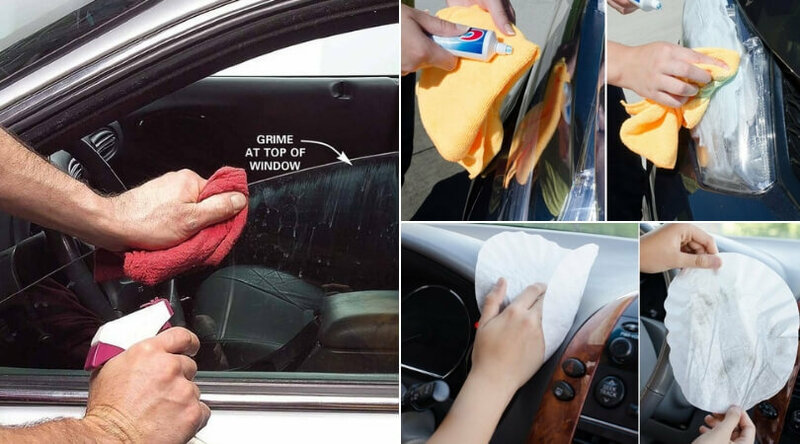 Same goes for cleaning your car’s leather or vinyl seats too, just take a magic eraser and wipe it over the sticky surfaces to make them like new again. Easy, isn’t it? You might be using conditioner to wash your hair but you can also use the same conditioner to wash your car and make it shine. Yeah, it’s weird but true and it’s possible because conditioner contains lanolin (a type of wax) and we all know wax is used to shine your car. So, say goodbye to expensive car wax and save money. Just wash with a conditioner whenever you feel you need to shine your car. Cleaning out vents? Using a can of compressed air to get the dust out of your vents will make the process easier and faster. This is the sort of hack which makes you say why didn’t I think of it? Dusting is good but it won’t make the car completely clean to the surface. The answer to this is to use coffee filters to clean and they are pretty cheap. 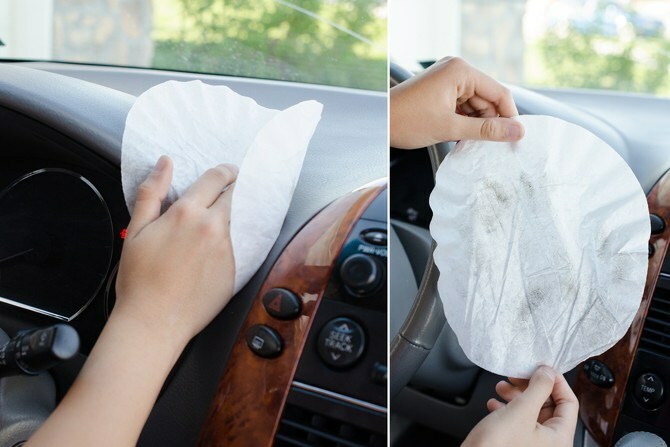 So, grab some coffee filters and make your car interior sparkling clean! 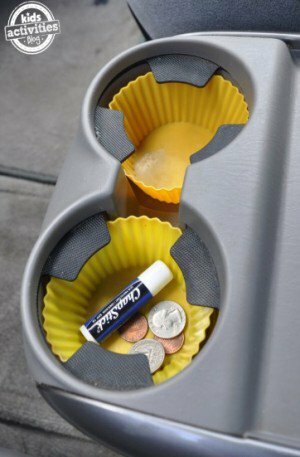 Cup holders are one of the easiest and faster place for gunk to reach. And cleaning them is a pain! But, having these cupcake liners in there can make the cleaning easier and would save a lot of time. A brilliant use of cupcake liners other than for cupcakes. 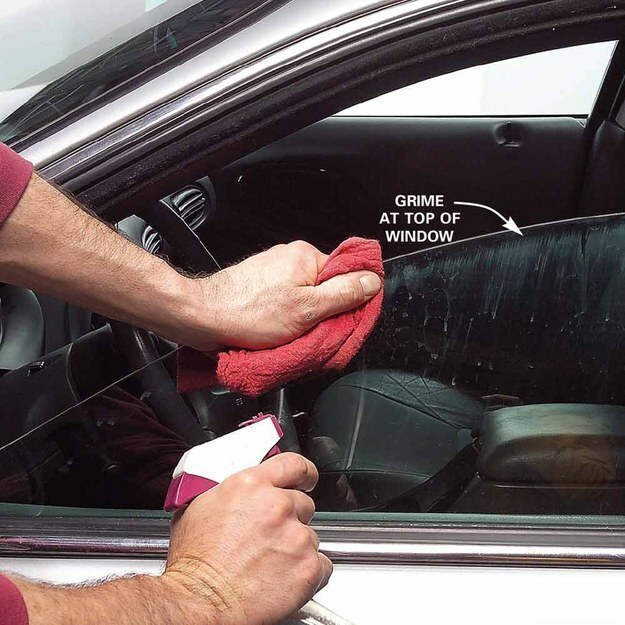 While cleaning the car windows, make sure to roll them down so that all of the grime and dust gets cleaned off. 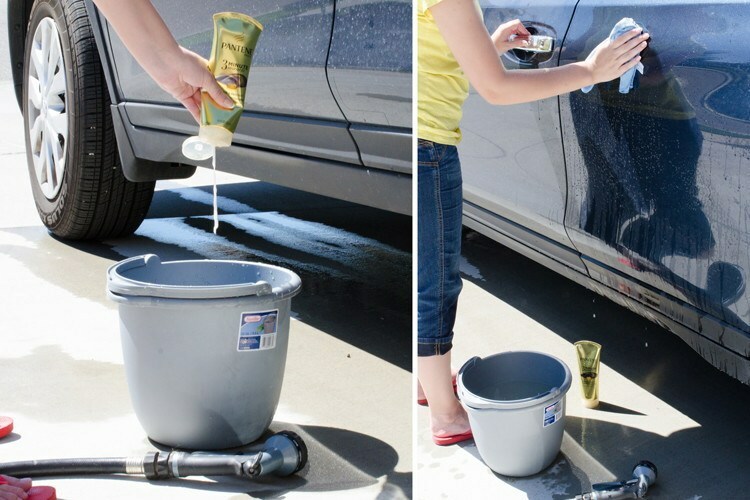 This gives your car a perfect clean. One thing you would notice that often dirt gets built up over time in the crevices. And what’s easy than using a screwdriver to clean them!! 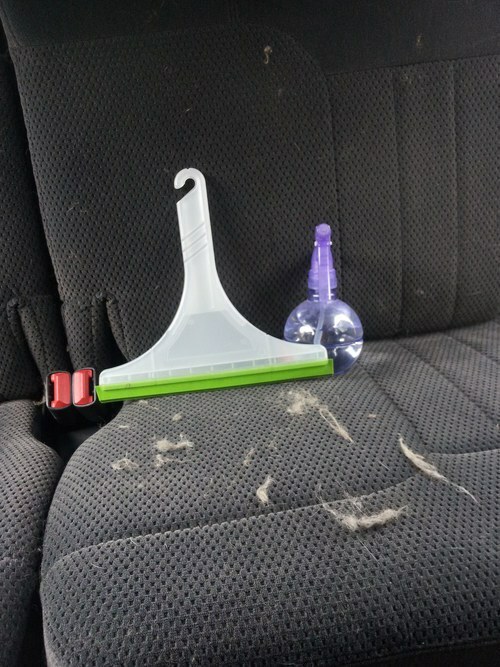 For those who take pets in their car frequently, you would notice that it’s not easy to clean their hair buildup on the seats. But, there’s an easy way to get rid of them faster. All you need to get rid of them is a spray bottle of water and a squeegee. It’s a great way to gather it up and get rid of it easily. You can wipe the seats with a magic eraser after that for a thorough cleaning. As you can see from the tips above that cleaning your car isn’t hard, if you know the right tips and tricks. With these right cleaning hacks, you’ll be able to finish cleaning in no time and have your car looking and smelling like new. 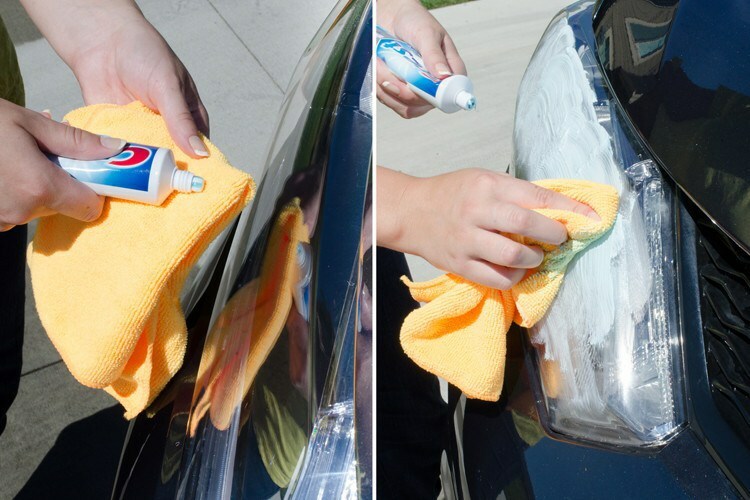 Need more, check out these 13 more car cleaning hacks! But before that, If you like the post, don’t forget to share it! Now if you have any questions, just let me know in the comments down below! I’d love to help you out!